Xhsi statement was reoor^ei. before Me. 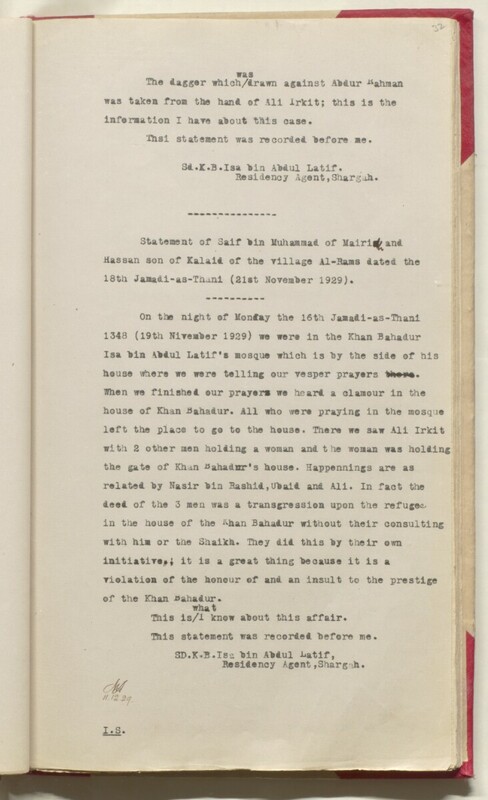 Statement of Saif "bin Muhsunmacl of Mairi^and. 18th Jamadi-as-Thani (21st November 1929). This is/1 know about this affair. This statement was recorded "before me. Residency A diplomatic office of the British Government established in the provinces and regions considered part of, or under the influence of, British India. Agent,Shargih.